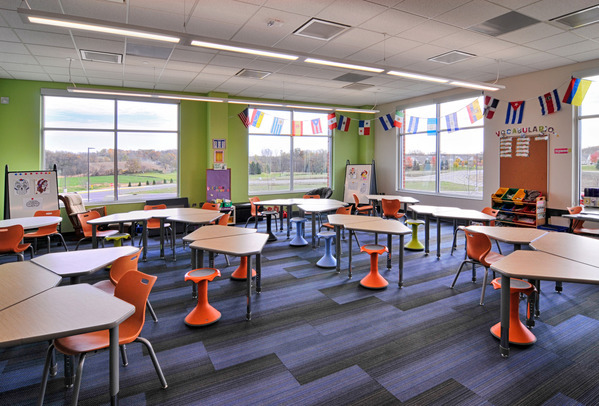 When the Waconia Public School district was building a new elementary, it needed to identify and implement the systems that would be the best fit for the school, while providing the most value. 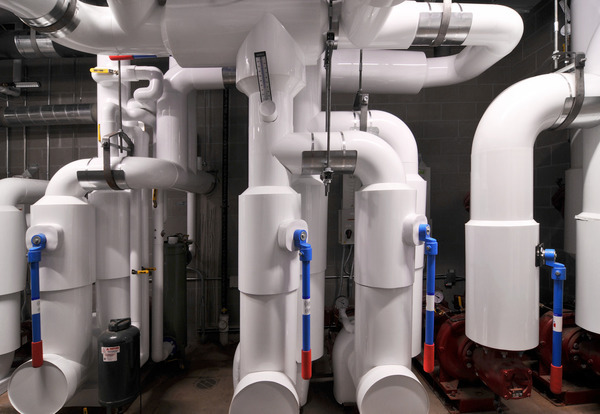 Waconia Public Schools had tight budgets, but needed to meet lofty efficiency goals for its mechanical, electrical, plumbing and technology engineering services at the district’s new Laketown Elementary. 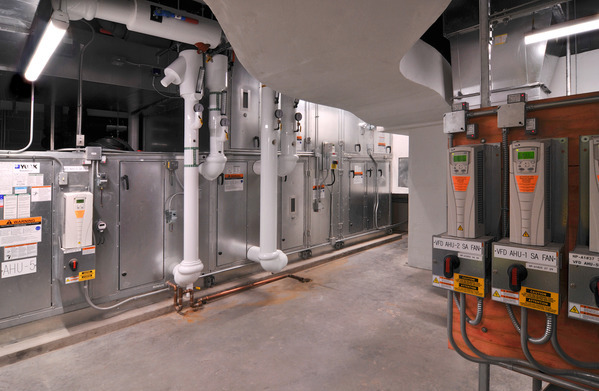 Energy modeling offered the most accurate way to determine the best fit for the school, and most value for the district. 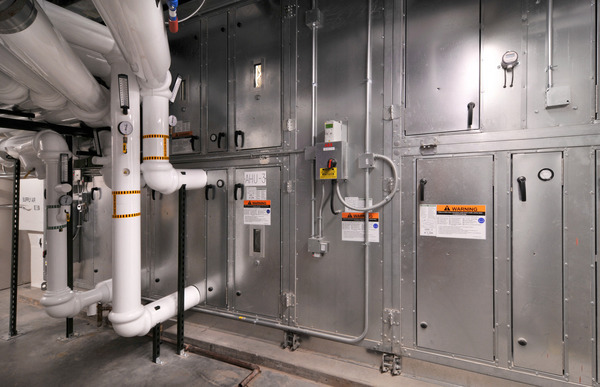 The model provided a detailed comparison of various mechanical systems, plug loads, glazing types, roof types and insulation levels – along with calculations for energy use, cost savings, and system paybacks for each system combination. 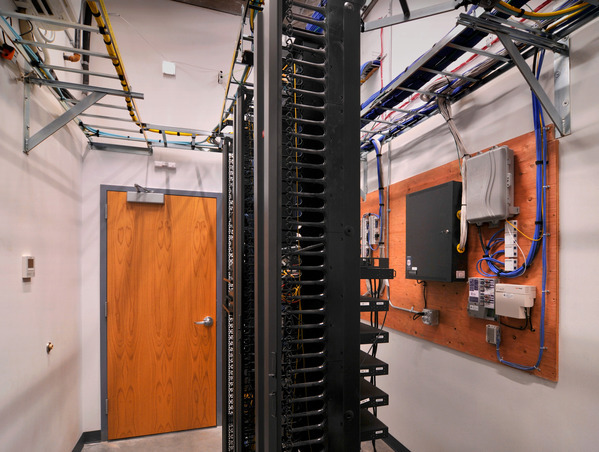 The district also needed technology design for advanced security, communication and AV systems – including cabling, patching, outlets, jacks, pathways, conduit, boxes and power. 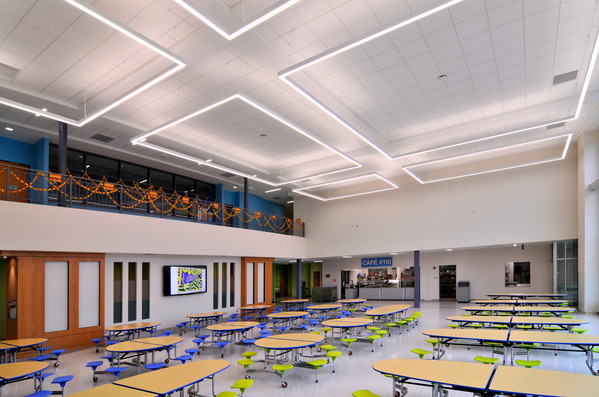 The AV system design featured infrastructure for video walls and projection in the cafeteria, media center, gymnasium and a divisible classroom. The building also has a power-over-ethernet clock system (no batteries to replace), a paging system, and a complete 10G to the desktop cabling infrastructure using category 6A cabling, as well as wireless throughout the building. 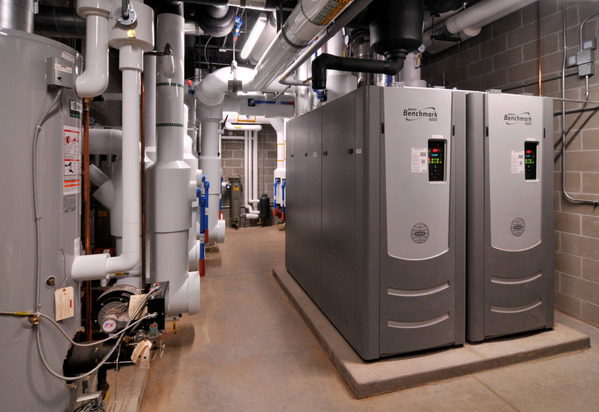 The final installation included budget-friendly high-efficiency condensing boilers and chillers, energy recovery air handling units, chilled beam systems and LED lighting. 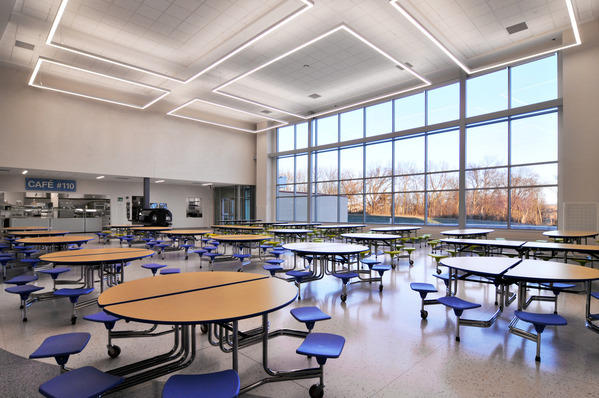 Induction displacement units were placed throughout the cafeteria, and in-floor radiant heat was installed in the classrooms. 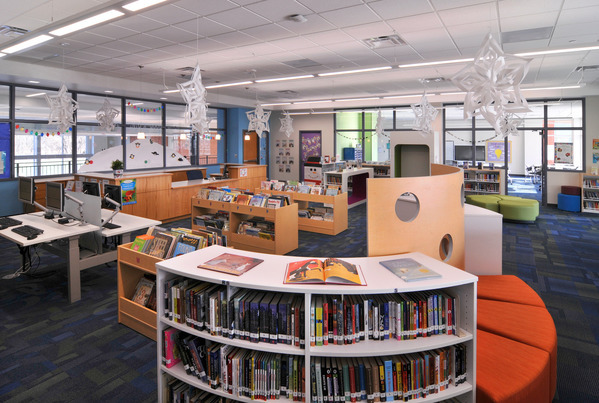 The result is a tech-savvy new school operating at maximum energy efficiency.